Many practical database problems can be tackled more simply and intuitively by graphs or networks, which in this sense are graphs in which attributes can be associated with the nodes and edges. It is a natural way to study relationships within the data. SQL databases aren't the easiest way of doing it, but it makes sense where the scale permits it. Because of the range of graphs and techniques, some Graph theory is unavoidable before you get stuck into the code, and who better to introduce graph databases than Joe Celko? Graph databases can answer several types of questions about data that are difficult with a relational database. They are particularly useful for social networking applications, fraud detection, optimizing LAN topologies, forensic work or any requirement that require searching relationships. In a graph database, we are not trying to do arithmetic or statistics. We want to see relationships in the data. Kurt Monash coined the term for this kind of analysis – relationship analytics. It is hard to work to create and use graphs in SQL, but not impossible. If you pick a particular type of graph, then your table declarations can have constraints that make life a lot easier. Back in September 2016, Richard Gardner posted an interesting problem. Without explicitly saying so, he wanted to give a simple undirected graph by using pairs of nodes modeled in the simple table. 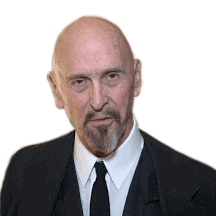 The best way I know to model general graphs in SQL is the way that Richard did it. This involves building a table with a pair of nodes to represent the edges. So far, so good, but graphs come in a lot of flavors which each have various structural constraints. Graphs come in two basic types; directed and undirected. In plain English it means whether or not the diagram has arrowheads on the edges. They connect the nodes (my math professors would hate me for being that imprecise!). The intention of the arrowheads is to show which direction the flow of whatever is in the graph moves. Undirected graphs are like two-way streets; directed graphs are like one-way streets. A complete graph is one that has a path of one edge between any two nodes in the graph. In an undirected graph it means a single edge exists between any two nodes, or if it is a directed graph, there is a pair of edges that go in opposite directions between any two nodes. This is one of those things probably easier to see with a picture. Here is one for 7 nodes. The notation for a complete graph is Kn, where n is the number of nodes in the graph. We can do little math here and see that the number of edges in Kn is n(n − 1)/2 edges (a triangular number). Here are a few more proprieties and terms, which I am not going to bother to define here, that apply to these things. I really recommend you take some time and look these up. It will give you a real feeling of just how complicated graph theory can become from just “edges and nodes” as your only tools. All complete graphs are their own maximal cliques. A clique is a subset of nodes that are complete. Complete graphs are maximally connected as the only vertex cut which disconnects the graph is the complete set of vertices. The complement graph of a complete graph is an empty graph. The complement of a graph is a complete graph of the nodes minus the set of nodes that are actually in the graph. Because all possible edges exist in the complete graph, all we need is a table with the nodes. We put the table in a view with a cross join on itself, remember to remove the edges on only one node (x, x) and you are done. Let us start with some basic questions we might ask about subgraphs. The obvious one is whether or not the two nodes belonged to the same subgraph. This was pretty easy to ascertain; ask if both of them are in the subgraph by name. After that, we can compare two subgraphs with a simple set difference on the member nodes. A better trick is to merge two of these disjoint graphs by adding another edge. The algorithm should be fairly straightforward. Given (‘@x1’, ‘@x2’), find to which subgraph each of the new nodes belong. If the new nodes are already in the same subgraph you are done. But if they belong to two different subgraphs, then update the greater subgroup name to the lesser subgroup name. Regular graph has the same number of edges coming out of all of its nodes. There is a simple formula for telling you how many edges a regular graph with (n) nodes which each have (r) neighbors ; M = ½nr. Here is a quick set of illustrations for regular graphs for one to seven nodes, with a varying number of edges per node. Let us try to build a table for the (5, 4) regular graph. Constraints will assure that all the neighbors are different, and will give us a key, the form of a row for each node and its neighbors. It is a little easier if we make sure all of the neighbors are in sorted order from left to right. Before anyone starts yelling at me. Yes, I would consider the neighbors to be repeated group. It is easy to fill in this table by hand for a small graph, but gets a little harder as the graph gets bigger. Not too surprisingly there is a program for this purpose; http://www.mathe2.uni-bayreuth.de/markus/manual/genreg.html. Like many things in graph theory, this problem is a lot harder than it first looks. This is why there was so much excitement in 2016 October when László Babai posted an abstract of a talk he was presenting on Tuesday, 2015 November 10 in Chicago for a new algorithm to solve the Graph Isomorphism (GI) problem (it also solves some related problems, but ignore that for now). This created a lot of excitement when it was first announced because it was a significant advance. But it did not last long because we got an update on 2017 January 4, when its originator, László Babai, posted a retraction. There is nothing wrong with the bulk of the paper, but he found a flaw in the timing analysis that alters the result from quasipolynomial time to subexponential time. Harald Helfgott (University of Göttingen and CNRS) spotted the error. Babai’s algorithm is general. However, if we have a particular type of graph, then we have got a tremendous advantage about knowing whether two of them are isomorphic. For example, there is an effect with only one complete graph for any set of in nodes, and only one regular graph for (n) nodes and (r) edges. You think about it. It is kind of dull, but it is important. For this article. I am going to assume that you know the nested set model for trees. The tree is a graph that has a whole bunch of properties, such as not having any cycles, having (n-1) edges, where n = number of nodes, etc. In fact, trees are so special that Donald Knuth does a lecture every year on them at Christmas time. Yes, it is called the Christmas tree lectures. There is quite a lot of articles on the nested set model on the Internet. I even have a whole book on various ways representing trees (“Joe Celko’s Trees and Hierarchies in SQL for Smarties; 2nd Edition”; ISBN: 9780123877338). However, one of the advantages of the nested set model for trees is that we have separated the nodes from the structure. Two trees T1 and T2, are isomorphic if the sets of (lft, rgt) pairs are identical. The simple EXCEPT set the difference operator will work. You have to do a little more work. If you are comparing a subgraph to another subgraph. It simply means subtracting constants from both the (lft, rgt) values to get them to a canonical form. Here is a second table, with different nodes and a different subtree ordering. If you want to take a pencil and write out the two trees, you can map the names. The gimmick is that this get harder as the tree gets bigger. The only thing you have got going for you is that if two trees are isomorphic, then they have the same number of nodes, and the same number of leaf nodes (it does not work the other way! ); Both of these are obviously easy to compute with the nested set model (if you forgotten, a leaf node has the property that (rgt – lft) = 1). I will offer one of my books as a prize for anyone who can come up with a procedure that can do such a mapping. My book on trees has procedures for moving subtrees underneath their root nodes, but trying to do this on a tree of any size is very, very expensive. A functional graph has to be a directed graph. Think of each node in the graph as representing a function. You can have any number of incoming edges, but only one outgoing edge; it models how a function works (many inputs, one and only one output). Weisstein, Eric W. “Functional Graph.” From MathWorld – A Wolfram Web Resource. http://mathworld.wolfram.com/FunctionalGraph.html. This means that the number of nodes in a functional graph has to be equal to the number of out degree edges. Another interesting property of functional graphs is that it can have one and only one cycle. A planar graph is one that can be drawn on a plane without any edges having to leave the plane and cross over each other. In English, think of it as being that we can lay out our roads in such a way that we do not have any overpasses. They happen to be very important for designing circuit boards. It means a board can be printed without using jumpers (electrical overpasses) and increasing the cost of the board. If you want to play with it, go to http://www.flashandmath.com/mathlets/discrete/graphtheory/planargraphs.html. You can grab the vertices in the sample. Graphs and move them around. It is kind of fun, but there has better ways to determine whether a graph is planar. In particular, if the graph contains one of these two sub graphs, then it is not planar. The Polish mathematician Kazimierz Kuratowski provided a characterization of planar graphs in terms of forbidden graphs, now known as Kuratowski’s theorem. 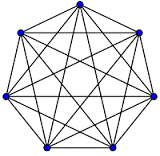 A finite graph is planar if and only if it does not contain a subgraph that is a subdivision of K5 (the complete graph on five vertices) or K3,3 (complete bipartite graph on six vertices, three of which connect to each of the other three). 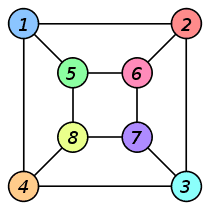 This is also known as the utility graph because of the famous puzzle. The puzzle is to connect three utilities (water, gas, electric) to three houses (A, B, C) without crossing over the supply lines of any other utility. It is impossible to do it on a plane, but fairly easy to do it if you put your houses and utilities on the surface of a torus (doughnut). Social Network marketing depends on finding “The Cool Kids”, the trend setters that know everybody in a community. In some cases, it might be one person. The Pope is fairly well-known among Catholics, for example, and his opinions carry weight. Here are two vertex coverings taken from a Wikipedia article on this topic. Formally, a vertex cover of an undirected graph G is a set C of vertices such that each edge of G is incident to at least one vertex in C. The set C is said to cover the edges of G. Informally, you have a weird street map and want to put up security cameras at intersections (nodes) in such a way that no street (edge) is not under surveillance. We also talk about coloring the nodes to mark them as members of the set of desired vertices. Graphs are a good tool because they are so general, the computer science majors usually only get look at trees and perhaps a basic introduction. Only math majors seem to take a whole quarter of graph theory. There are no ANSI or ISO Standard graph query languages. We have to depend on proprietary languages or open source projects. They depend on underlying graph databases, which are also proprietary or open source projects. Support for some of the open source projects are available from commercial providers; Neo4j is the most popular such products and it “went commercial” in 2009 after a decade in the open source world. This has happened in the relational world with PostgreSQL, MySQL and other products, so we should not be surprised. Some of the graph databases were built on an existing data storage system to get started, but then were moved to custom storage engines. The reason is simple; performance. There is no equivalent to SQL in the Graph Database world. Gremlin is an open source language that is based on traversals of a property graph with a syntax taken from OO and the C programming language family. (https://github.com/tinkerpop/gremlin/wiki). There is syntax for directed edges and more complex queries that look more mathematical than SQL-like. Cypher is a declarative graph query language that is still growing and maturing, which will make SQL programmers comfortable. It is not a weird mix of odd ASCII charterers, but human readable keywords in the major clauses. Most of the keywords like WHERE and ORDER BY are inspired by SQL. You need to look at http://www.graph-database.org/ for PowerPoint presentations on various graph language projects. AS of 2014, it seems to be off-line, but may come back. This field will be in flux for the next several years, but you will see several trends. The proposed languages are declarative, and are borrowing idea from SQL and the Relational Model. For example GQL (Graph Query Language), has syntax for SUBGRAPH as a graph version of a derived table. Much like SQL, the graph languages have to send data to external users, but they lack a standard way of handing off the information. It is probably worth the effort to get an open source download of a declarative graph query language and get ready to update your resume. Also, I have been following the work of Babai for graph isomorphism lately and supposedly he has fixed the problem in his original paper and is in the process of republishing. I saw that, just after we had gone to press. The new algorithm (revised?) gets rid of some of the problems, but it still takes a fair amount of time. He claim that the Graph Isomorphism test runs in quasipolynomial time, but it still needs peer reviews. Before you ask, an algorithm is said to run in polylogarithmic time if T(n) = O((log n)^k), for some constant k. That would be the number of nodes in this problem. Hey Joe, Great article. I’d like to mention OrientDB: a Graph Database that supports SQL: http://orientdb.com/docs/2.2/SQL.html. We extended it a little bit to be more graph oriented (pattern matching and traverse), but the basic SQL CRUD operations are there. Yes, the idea of OrientDB is good, but the question is: can so universal approach be really implemented? OrientDB is already used by thousands of companies and many of the Fortune 100. The Multi-Model approach is winning: you don’t renounce to the power of (native) graphs, but you have much more. There are 2 types of Multi-Models: the ones where the engine can natively manage multiple models and the ones that have layers on top of a key/value, relational or columnar. Having layers it looks like a native Multi-Model as API, but under the hood, the layers have a big cost of translations from/to the models. This means they are slower than native ones. Even when a Multi-Model like OrientDB is used just as a Graph Database, we can say that in terms of performance is totally comparable to the native Graph Database products. To what degree do you want the mapping to be done? If you only want to investigate wether the two graphs are isomorphic, this is one way to solve it. 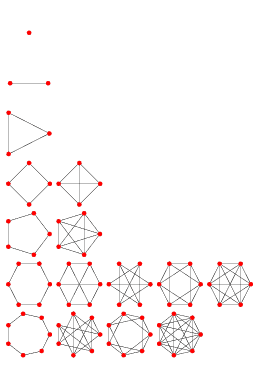 — then they have the same number of nodes, and the same number of leaf nodes.